Thanks to the recently-released unofficial 'Aauto SDK,' we've started to see more experimental apps being developed for Android Auto, like the tinyCam Beta that shows feeds from security cameras. While these apps probably won't ever show up on the Play Store, as they violate Google's Auto guidelines, they can still be useful. 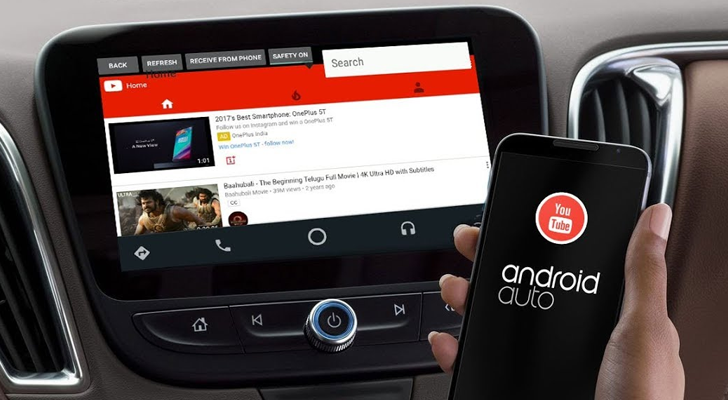 The latest hacky Android Auto app is 'YouTubeAuto' by developer Kiran Kumar. As the name suggests, it allows users to watch YouTube videos from their Auto head units. The main legitimate use for this is background music playback; there's even a reminder that pops up every time the car starts to move telling you to watch the road. If you want to try it out for yourself, go visit Kumar's website at the source link below for the APK. As with the tinyCam Beta, you'll need to put Android Auto into developer mode before you can install it. And if it wasn't already obvious, please don't watch videos while driving.